A mother fleeing her violent husband, a serial killer who preys on women and famine in 1930s Ukraine are among the weighty social and political themes explored in films showcased at this year's Berlin Film Festival. Short on star power but strong on gender balance and political engagement, the 2019 Berlinale opens on Thursday evening with the premiere of Danish director Lone Scherfig's "The Kindness of Strangers". Other highlights include Brazilian director Wagner Moura's "Marighella", about writer Carlos Marighella's death at the hands of Brazil's former military dictatorship, and Polish director Agnieszka Holland's "Mr. Jones", about a Welsh journalist whose 1930s reports from the Soviet Union exposed the horror of famine in Ukraine. Other hotly-tipped films include Turkish-origin German director Fatih Akın's "The Golden Glove", the psychologically grueling true story of a serial killer who preyed on women in Hamburg's port district in the 1970s. Though stars are present at this festival - including Juliette Binoche, chair of the prize jury - the lower-key feel is typical of Dieter Kosslick, outgoing director of the Berlinale, said Scott Roxborough, European bureau chief at The Hollywood Reporter. With the film industry still reeling from the "#MeToo" movement, when a series of prominent male figures were revealed as sexual predators and serial abusers of women, this Berlinale stands out for its depth of female representation, he said. "Seven of the 17 films (competing for a prize), 41 percent, are female-directed, which isn't quite 50 percent but it's a lot better than any of the other big film festivals," Roxborough said. "Venice last year had one female director." 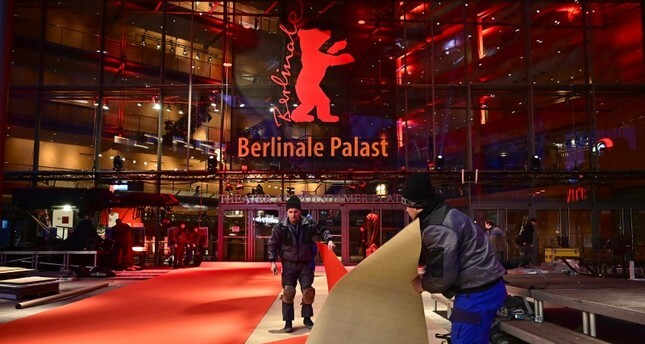 Around 400 films will be shown at this year's Berlinale, of which 17 are competing for the Golden and Silver Bears. The absence of star-power is also a reflection of the festival's timing, since Venice's spring and Cannes' autumn slots are better for films seeking to target the Oscars, which remain the film industry's ultimate prize.